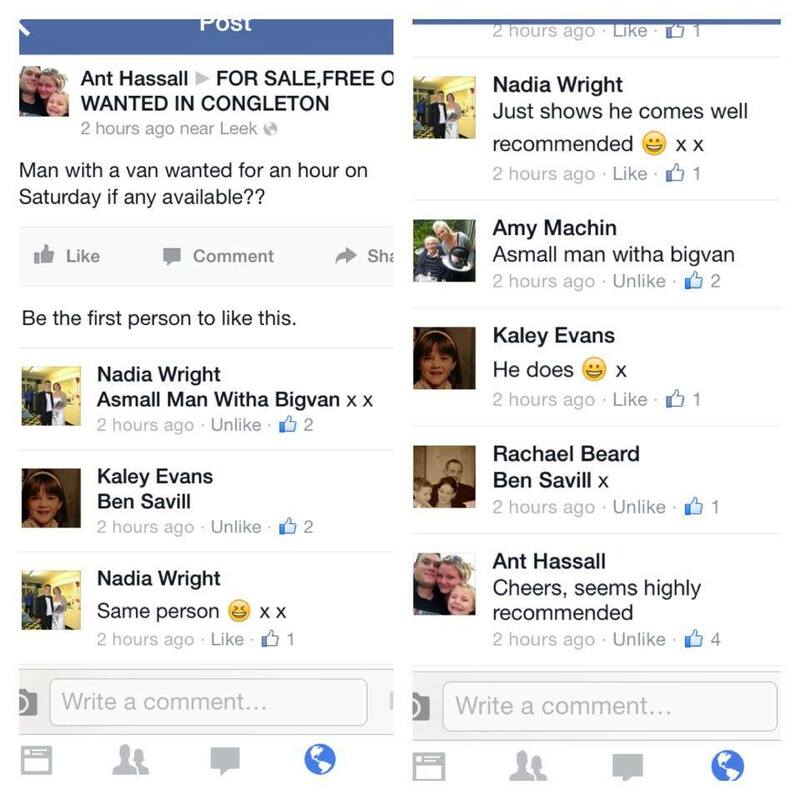 A Small Man with a Big Van is really proud of the reputation we have built up in the local Congleton (Cheshire) area. We get a lot of recommendations from customers who have been happy with our man and van services. We would just like to say a big thank you to our customers both new and old for your recommendations and repeat business, its really appreciated! It means we don’t have to spend £1000’s on advertising trying to gain new business, we would rather invest back into the business to further improve our service for you! A recent post on Facebook illustrates the power of referral!